Our professionals understand that each client is unique, and the care must be personalized based on one's physical, emotional, and intellectual needs, as well as, one's own spiritual, social and family values. 1. Client's Physician: The patient's own doctor will continue to provide the medical management of the patient's care, and will participate in development and implementation of the patient's individualized plan of care. 2. Hospice Medical Director: The Hospice Medical Director oversees the plan of care and advises the Guardian Hospice team in pain and symptom management for the patient. He or she is also available to consult with the attending physician and to visit the patient at home on an as needed basis. 3. Registered Nurse: The hospice nurse is a Registered Nurse (RN), who serves as the case manager to coordinate with other team members all care reasonable and necessary for the comfort of the patient. The Guardian Hospice nurses are experts in pain management and symptom control. Moreover, our nurses will offer the patient and family support, while teaching the patient and caregivers about the physical care as the disease progresses. A nurse is on-call 24 hours a day to answer questions regarding the patient's comfort or care, or to make a patient visit as needed. 4. 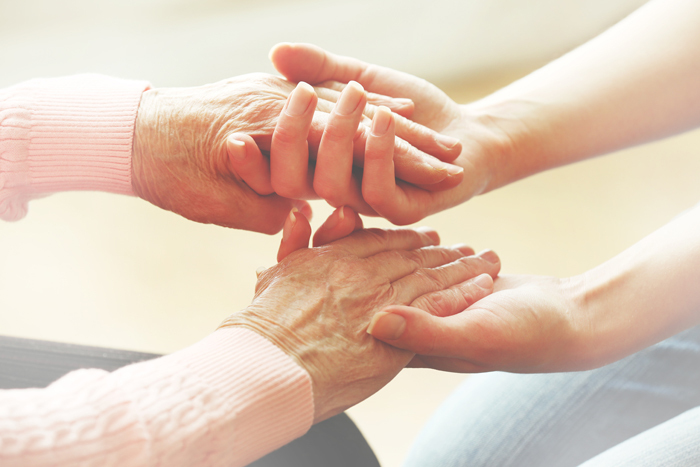 Social Worker: The hospice Social Worker is available to provide emotional support and counseling to the patient, family and/or primary caregivers in order to reduce anxiety during this difficult time. The Social Worker is familiar with community resources and is able to coordinate additional assistance needed in the home. Furthermore, the Social Worker may assist in funeral planning if requested. 5. Certified Nursing Assistant (CNA): The Certified Nursing Assistant (CNA) provides personal care and assistance with activities of daily living. These activities may include feeding, bathing, changing bed linens, and hands-on care as needed. The CNA is supervised by the Guardian Hospice nurse. 6. Spiritual Care Coordinator: The Spiritual Care Coordinator is available to facilitate interaction between community clergy and the patient and/or family members. The Spiritual Care Coordinator is available to offer support to the patient and/or family through prayer and/or counseling. He or she may assist with funerals if requested. 7. Bereavement Coordinator: The Bereavement Coordinator has the important task to provide comfort and counseling during hospice care and for up to 13 months after the patient's death. The Bereavement Coordinator may assist with finding community resources as needed. 8. Caring and loving volunteers: They are trained to provide companionship, respite, and emotional support to patients, families, and caregivers. The Volunteer Coordinator supervises and evaluates volunteer services provided to patients.